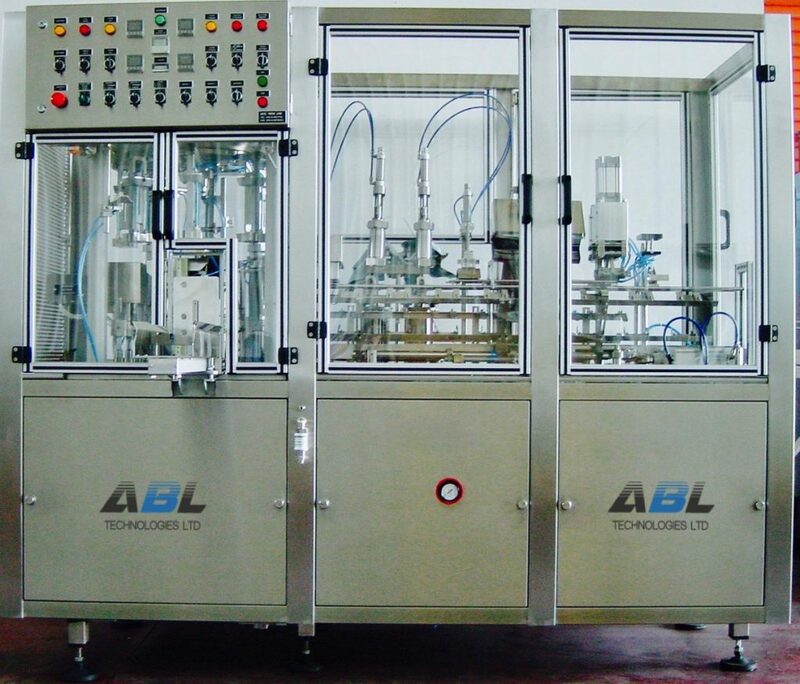 ABL Technologies Ltd manufactures Automatic and Semi automatic PURE-PACK filling and sealing machines.Premade pack is installed into machine, then it is taken to pack shaping, filling, and finally is sealed by sealing device. The machines are constructed of stainless steel and standard approved. ABL machines include advanced control panel that controls all functions of the machine. All machines are accurate and reliable, which allows the operator continuous operation without stopping and minimum product waste. All machines are designed for filling products as : Milk. Yogurts, Cream , Juice, etc.